Does iPhone Increase Browsing ? – Better Believe It! 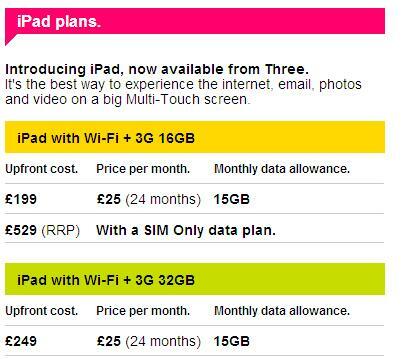 Several surveys have revealed that iPhone users spend a lot of time surfing the Internet. 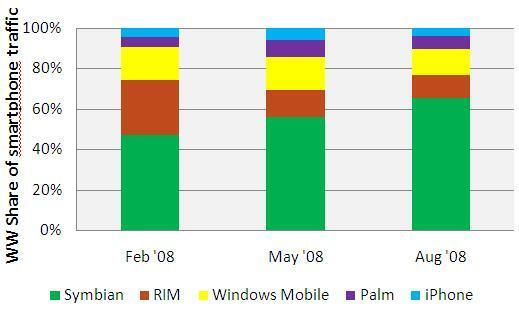 Late last year, when Net Applications came out with its quarterly browser market share report, people immediately latched on to the fact that the iPhone, which at that time was in the market for a full 5 months, had a browser market share that was 33% greater than that of Windows Mobile devices. This was obviously an amazing statistic at that point in time – in under two quarters, Apple’s handheld platform had passed Microsoft’s over a decade-old mobile platform in terms of browser use. The amazement was further amplified when you consider that iPhone was selling in only one geography (AT&T) while over 20 million Windows Mobile platforms were in circulation. It’s not just just Windows Mobile that was getting killed by iPhone. 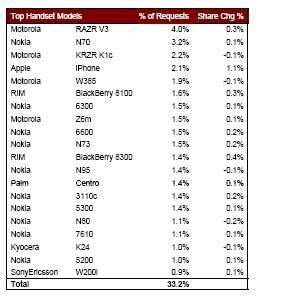 S60/Symbian – the browser in Nokia’s N-Series platforms among others? About 1/10th. Fast forward – I decided to go back and look at the Net Applications browser statistics to find out if iPhone users continued their incessant web-surfing behavior. 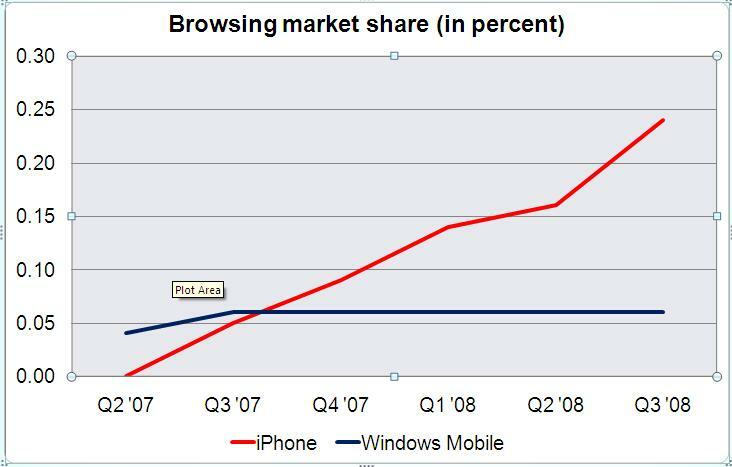 I charted the browsing market share of both iPhone and Windows Mobile over six quarters. Clearly, iPhone is continuing its dizzying ascent, widening its lead significantly over Windows Mobile – the market share today stands at four times that of Windows Mobile. 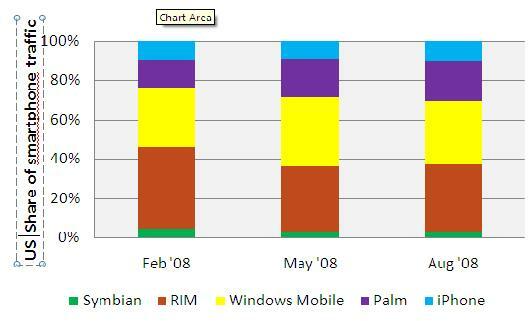 iPod has a 0.04% market share and is catching up with Windows Mobile as well. At this rate, given iPhone 3G’s worldwide distribution, it is quite conceivable that iPhone/iPod will be the fourth largest computing platform in terms of browsing market share (behind only Windows XP, Windows Vista, MacIntel and Mac OS) by end of this year. It would have surpassed the browsing market share of Linux, Windows 2000 and Windows NT platforms. For a platform that has been in existence for less than two years and that too with limited distribution, that is an amazing feat. Check back to this entry for an update end of the year!